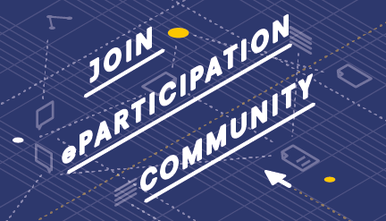 Are eParticipation tools benefitting Europe’s youth? If you follow Yanis Varoufakis or Slavoj Žižek, chances are high that you’ve heard or read about DiEM25 (Democracy for Europe 2025). DIEM25 has quickly risen up, evolving into a diverse, pan-European movement. However, many of the issues facing young people aren’t only digital, but are indeed very real. Can young people utilize online tools and social channels to narrate and guide a productive debate? Will these steps help prevent the doomsday predictions around the EU’s future? Elisa Stowe is a young, engaged DiEM activist and cultural anthropologist, who wholeheartedly believes in the power of cross-border citizen action as well as effective, streamlined approaches, which, when combined, could prevent the scenario of a disintegrating EU. Fortunately, a healthy balance of online and offline measures, supported by concrete steps can indeed transform Europe for the better. The good news is: young Europeans are already taking part. The large member-base in this movement contradicts the argument that young Europeans are politically disengaged and simply bitter. DiEM is quite diverse when it comes to the age of its members and activists, however most are relatively young: 25-30 on average. The constantly growing movement provides opportunities for enthusiastic activists from all over Europe to join. A devoted coordinating collective, coupled with smaller organizing-groups have been pushing this movement to develop and execute a road map of events, social actions and campaigns with which DiEM25 has received visibility and influence. These activities are communicated mouth-to-mouth, via online-media and social channels and have thereby managed to connect people virtually and in real-life. Young members in particular have refreshed the approach of undertaking social action, due to their different perception that bad politics can only be changed by direct involvement. They see DiEM as a public sphere where one can get involved. Therefore, being given a platform for self-expression, multi-faceted opinions and concrete, organized participation grants fertile soil for political reforms. To give visibility and transparency to a complex, international movement like DiEM requires the utilization of online tools, regular website updates with weekly blogs, opinion articles, news on European events and the maintenance of social channels like Facebook and YouTube. However, there are also some disadvantages in using online tools of this type. Online communication can be alienating, because threads and hashtags are limited and can oversimplify complex issues. The current challenge is directing energy on social channels in a better way to create constructive exchange among individuals. Another challenge is language accessibility: DiEMs language is often theoretical and abstract. A further level of complexity is that there is also a language barrier that cannot be easily tackled by a member-financed movement that often relies on volunteer-translators. These pros and cons point out that online tools can indeed facilitate transnational communication, coordination and share of values inside such associations, but there are still some practical issues that must be tackled for exchange to take place and actions to be streamlined effectively. Online tools should be first and foremost applied to systematise knowledge and information about the movement to ensure accessibility. Developing mechanisms that secure the equality of proposals is essential as well, but there is one factor that groups and individuals need to be aware of: the line where the power of online tools decreases and needs to be complemented by offline environment. Virtual spaces can’t offer the same means as physical ones. There is still a visible challenge to decreasing complexity and opening spaces. In addition to being active online, activists and supporters need to be able to meet in person, discuss, have a beer together, enjoy the controversy. There is undoubtedly a necessity for greater involvement of a young generation that is excited about politics and willing to fight for social justice, the EU’s prospects and participatory arenas. With this in mind, it’s crucial to find a synergy in mixing both online and offline tools in communicating meaningfully and effectively. 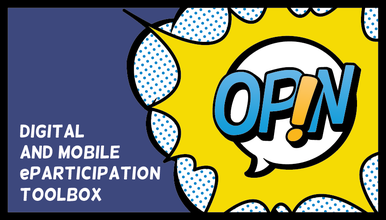 This article is a result of a cooperation between European Youth Press and the project “EUth - Tools and Tips for Mobile and Digital Youth Participation in and across Europe”. This project has received funding from the European Union's Horizon 2020 research and innovation programme under grant agreement No 649594. This article reflects only the author's view and the Research Executive Agency or European Commission is not responsible for any use that may be made of the information it contains.